The entire team at the Novotel Lyon Centre Part Dieu hotel welcomes you to Lyons, capital of gastronomy. Take advantage of our location in the heart of the Part-Dieu business district, 10 minutes from the historic center of the city of lights. Families welcome: cribs, connecting rooms, playground. The spacious, contemporary and fully modular Novotel rooms are true living areas and can be adapted to suit all requirements. Free Internet connection. 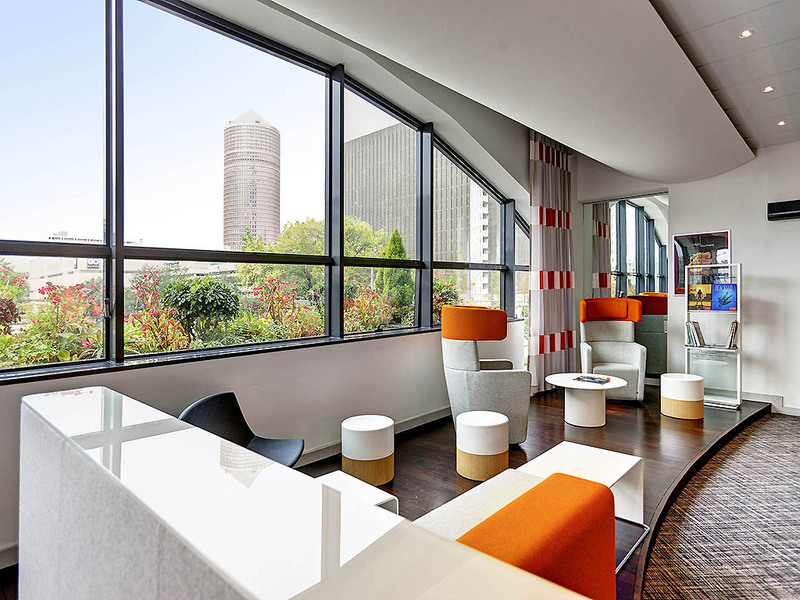 All rooms at the Novotel Lyon Part Dieu are air-conditioned and soundproofed. Each has a large bed and a sofa bed measuring 47 to 63" (120 to 160 cm) depending on the room type. Perfect for families. Connecting rooms available according to availability. 리옹 파르디웨 역에서 2분거리, 위치가 좋음, 시설은 약간 오래된 듯, 기본은 하는 시설임, 도시 설정 냉방기준이 21도 인 듯, 컴플레인을 해 봤는데, 그렇다고 함. 은근히 모기가 있음. 단체로 호텔 투숙 및 회의실 이용했는데, 전반적으로 서비스에 만족함. 그러나, 호텔 식당 및 야간에 운영된 bar는 불만족스러움. 시간상 회의 중간에 점심을 호텔 레스토랑에서 먹었는데, meat를 추천해 놓고 고기 종류에 대해 inform 없었으며(당연히 소고기인 줄 알았으나, 양고기였음), 익힘 정도를 묻지도 않았으며, 맛도 별로였음. 한국, 스페인, 이탈리아, 터키, 미국인이 섞여 있었으며 모두 불만족한 것으로 보아 개인별 호불호가 갈렸다고 보기 어려움.